If you are planning to come by car you can see the most convenient roads in the maps below. 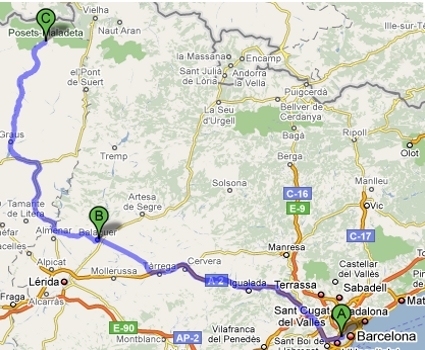 Participants driving from Europe should go via Toulouse and enter Spain at the Vall d'Aran (d'Aran Valley). After crossing the Vielha tunnel, there is a road connection to the Benasque valley. 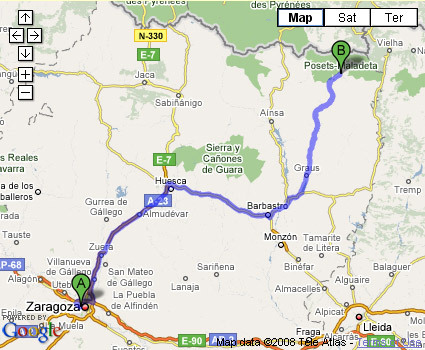 Via Huesca, Barbastro, Graus and Benasque.